Trying to decide if you should do your own pest control? I completely understand your dilemma. If you're battling pests in or around your home, you want them dealt with quickly and effectively with the least amount of harm and hassle to you and your family. It doesn't matter if the pests are of the large or small variety. They can really give you grief. You may be dealing with the more obvious type of pest like rodents, bats, deer, or moles. Most often large pests are a problem in the yard, but they can also get in your attic, your walls, your basement, or even your pantry. On the other hand, you may be battling those itsy bitsy pests that seem even harder to deal with like bed bugs, mites, fleas, or some mysterious unknown parasite. No matter what the size or type of pests that are plaguing your life, you want them gone and you want them gone now. I'll be honest with you. I hadn't really thought about adding a section on pest control devices here on the website until recently when visitors started asking about the various options. One of our guests recently asked about an ultrasonic pest repeller and decided to give it a try himself. That got me thinking. So many of you come here looking for ways to get rid of those teeny-tiny bugs that are making your life a misery. My first instinct as a natural health advocate is to encourage you to cleanse your body and boost your immune system. I really do believe that is so important. But that may not be enough. If you're dealing with an environmental issue, like an infestation in your home, you need to tackle your surroundings as well as your internal nutrition and support. 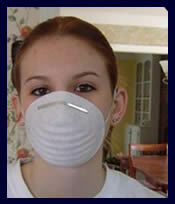 Of course, there are the typical pest control sprays and services that are available in most local areas. You can get free local pest control service quotes if you want to get an idea of what's available and the cost in your region. 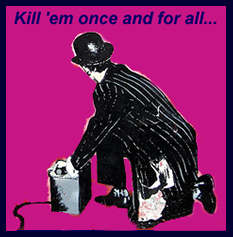 Trouble is, sometimes those exterminator services just don't work. I know many of our visitors have reported that they've had their house sprayed repeatedly without eliminating their pest problem. In addition, many of us don't like exposing our family to the nasty and toxic chemicals that go along with the typical pest control services. So let's talk about how you can do your own pest control safely and effectively. There are a few options or suggestions that I want to offer for those who want to do your own pest control using reasonably safe and natural products. You might be familiar with the fact that cedar wood is used for making chests to store blankets, linens, etc., because it is naturally pest resistant. Bugs can't stand cedar. That's what makes cedar oil such a good natural pest repellant that kills a wide range of bugs without harming people or pets. Of course, if you decide to fog your bedroom or even your entire house with a natural cedar oil product, I would caution you to use common sense protocols (and follow the instructions provided) for basic safety. That means you'll remove your pets from the room you are fogging and even put something over your own nose and mouth because the initial strength of the cedar oil scent may be too strong for you for an hour or so. 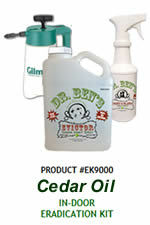 Cedarcide, also called "Dr. Ben's Evictor," is probably the top natural cedar oil product for killing pests. You can get everything you need in an eradication kit to do your own pest control at your convenience. Another homemade pest control method that some people have found works really well for them is the use of diatomaceous earth sprinkled all around the home, on the furniture, etc. DE is a very fine powder made of microscopic shells (diatoms) that is shaped in such a way that it cuts and destroys small pests, like lice, fleas, ticks, etc. There are a lot of different brands to choose from, so be sure that if you go this route that you choose a high quality brand and that it is FOOD GRADE. DE is probably not my preferred DIY solution because it's definitely messy and has to eventually be cleaned up, but if you're desperate, it's worth a shot. I've heard of various pest control devices over the past several years, both indoor and outdoor devices for various sized pests. I wasn't too sure how effective they would really be although I've no doubt that some of the large animal repellers do the job because I'm familiar with the way some of them work. I wasn't quite as certain about these new ultrasonic pest repellers for "bugs" like lice, fleas, mites, bedbugs, and other tiny parasites. I'm still not 100% sure these will do the job for the majority of people, although I've read some promising testimonials. What I'd really love is to hear your own electronic pest control reviews. The more of us who report back with our findings, the more people we can help. One of our regular visitors is testing the Ultimate AT pest repeller and I'm eager to hear his results. 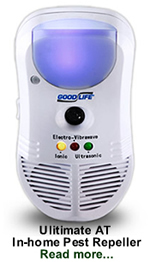 It seems to be the best ultrasonic pest repeller on the market at the moment, and it's certainly reasonably priced, but I'd like to know more. I'm going to try the Ultimate AT myself, but if you try this electronic pest control device or some other variety, please let us know the results. You should know if it is working or not within a few weeks. Well, that's it for the moment. Keep us informed with your successes and failures when you do your own pest control. I'm really hoping this section turns out to be a great resource on our site for those who are not getting complete elimination with the natural internal cleanse and nutritional supplements.